Premium Hi-Temp Red Grease Superior Protection For Both Disc And Drum Applications Formulated With Corrosion Inhibitors, Anti-Wear And Water Resistant Additives 16 oz Tub The El Camino Storeis committed to offering the best product available for protecting your classic. 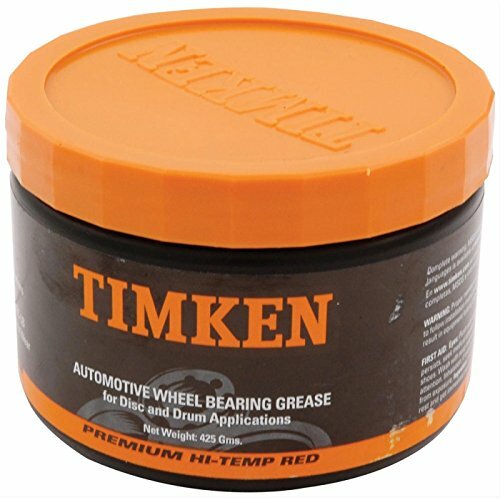 Our Timken brand premium wheel bearing grease is a must have for installing any new bearings and cups. Formulated to handle the demands of both disc and drum systems, Timken bearing grease contains corrosion inhibitors help to prevent rust and anti-wear and water resistant additives for superior protection.